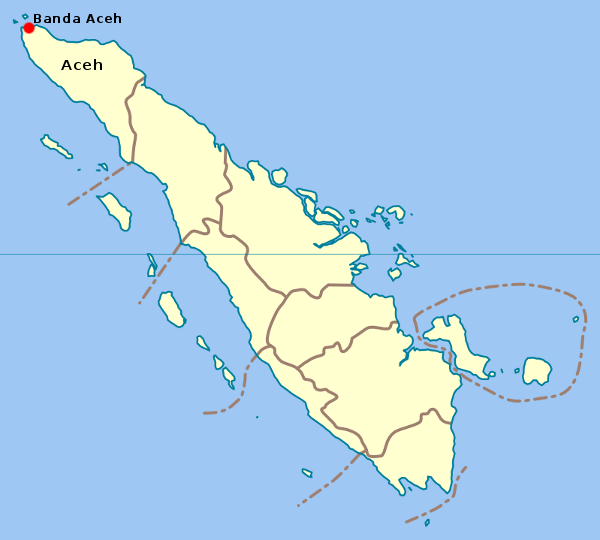 Sumatra is Indonesia's largest and western-most island (Borneo and Papua islands are bigger, but shared with other countries). The island features a widely varied landscape as well as a rich range of plant and animal life. Although there are many interesting destinations on this huge island, for now this guide has started at the top, with a couple of interesting place in Aceh province.